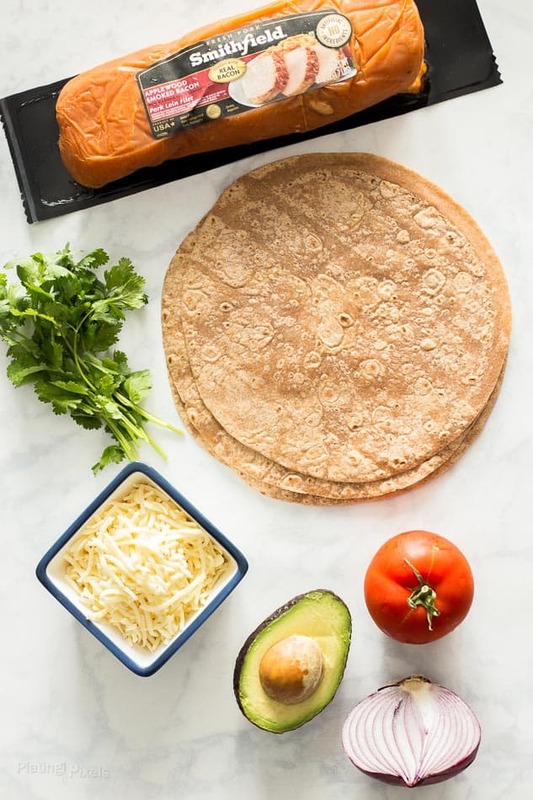 Satisfy your hungry children this back-to-school season with pre-marinated sauteed pork in a whole-wheat tortilla with a flavorful homemade guacamole, Mexican-blend cheese and tomato slices. Back-to-school season means busier schedules and heavier than usual traffic. With less time available for the entire family, quick weeknight dinners and afternoon snacks are a welcome break. 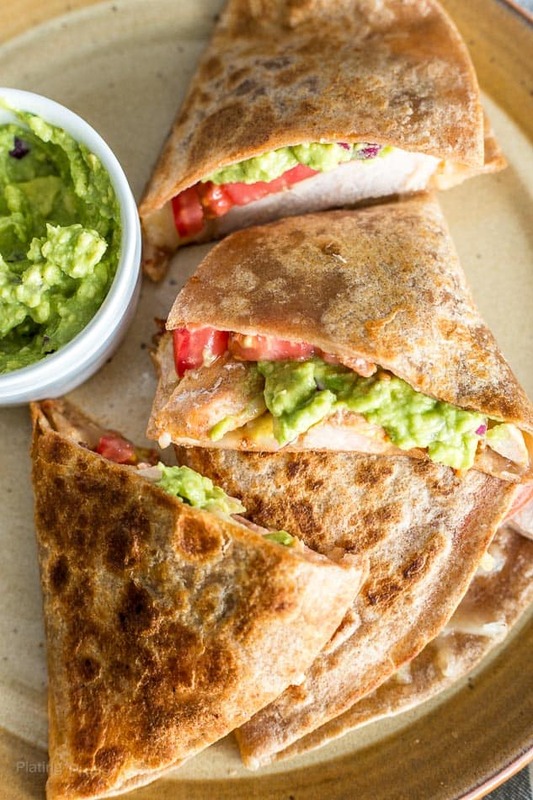 Recipes like these Pork Quesadillas with Homemade Guacamole are a unique addition to your easy meal menu. We don’t have kids (unless you count two cute felines), but fast meals are just as appreciated in this household. Devices like sous vide and slow cookers reduce hands-on time if you can plan ahead, but take longer to cook overall. 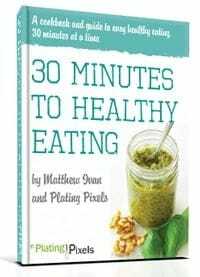 For last minute meals, sautéing is one of the quickest methods. No pre-heating needed, and high cooking heat makes even large cuts of meat cook fast. 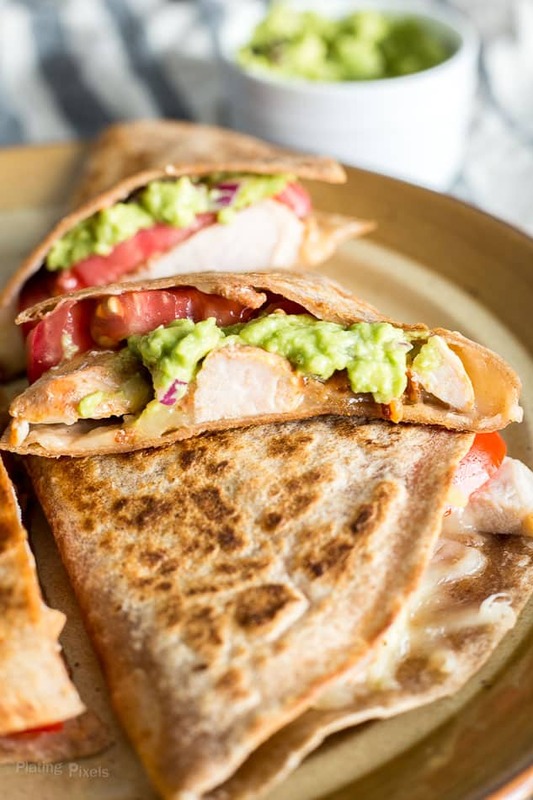 These Pork Quesadillas with Homemade Guacamole are a twist from the standard chicken and/or cheese quesadillas. Pork is great for grilling and roasting, but is versatile beyond that. For this recipe, I used Smithfield Marinated Fresh Applewood Bacon Pork Loin Filet. It’s made from 100% fresh pork with no artificial ingredients. It’s pre-marinated and perfectly seasoned in a variety of delicious cuts and flavors, saving you precious time this back-to-school season. Be sure to slice the pork into smaller pieces and sauté to make in less than 10 minutes. Cook to an internal temperature of at least 145° F, while browning the outside to add extra flavor. Then simply assemble and heat these easy pork quesadillas. 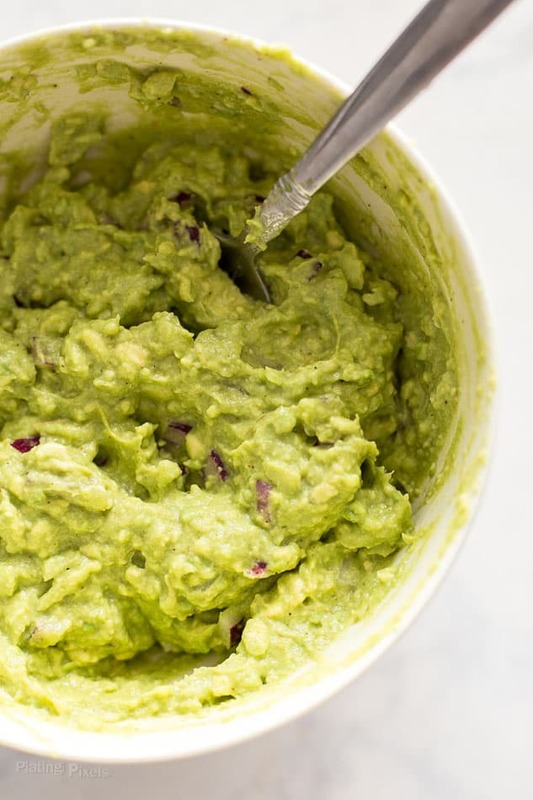 I prefer homemade guacamole for a richer, creamier and more flavorful addition to this recipe. Start with high-quality, ripe avocados, then mash and add minced onion, lime juice and spices. 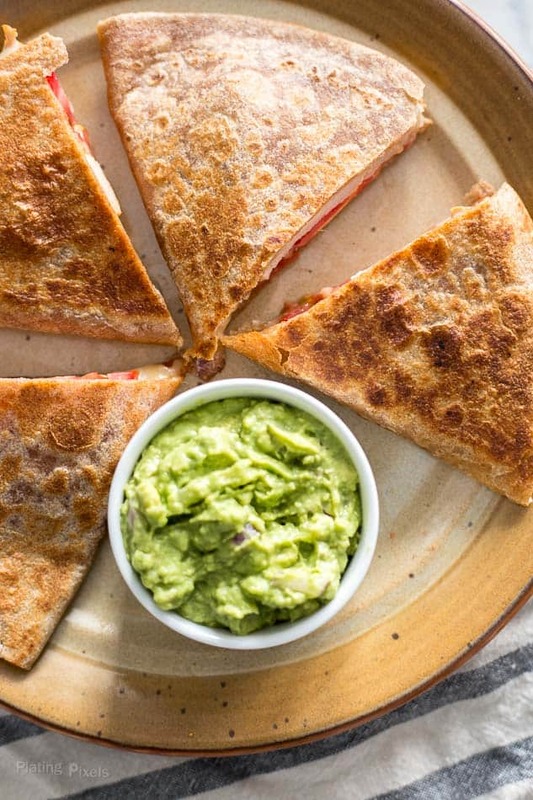 Pork Quesadillas with Homemade Guacamole are an easy meal or a unique snack for the entire family. With minimal ingredients, pre-marinated pork and a bit of cooking time, you’ll satisfy those hungry family members real fast. Pre-marinated sauteed pork in a whole-wheat tortilla with a flavorful homemade guacamole, Mexican-blend cheese and tomato slices. Scoop avocados into a medium bowl and mash to desired consistency. Stir in red onion, lime juice, chili powder, cumin and salt. Cover and store in fridge until ready to serve. Cut pork loin into ½-inch thick slices. Heat oil in a large skillet or nonstick pan to medium-high heat. Add pork to pan in an even layer (with the included bacon topping). Cook 4-6 minutes, until lightly browned, rotate and cook other side until center reaches an internal temperature of at least 145° F. Remove from heat and cool slightly, then cut pork slices into ¼-inch strips. Heat a clean pan to medium heat, lightly butter if desired. Place tortilla(s) in pan, sprinkle half with desired amount of cheese, top with cooked pork and sliced tomato. Fold over and heat until bottom is lightly browned, rotate and heat until other side is lightly browned and cheese is melted. Note: Amount of tortillas you cook at a time depends on pan and tortilla size. Add prepared homemade guacamole and cilantro to each before serving.